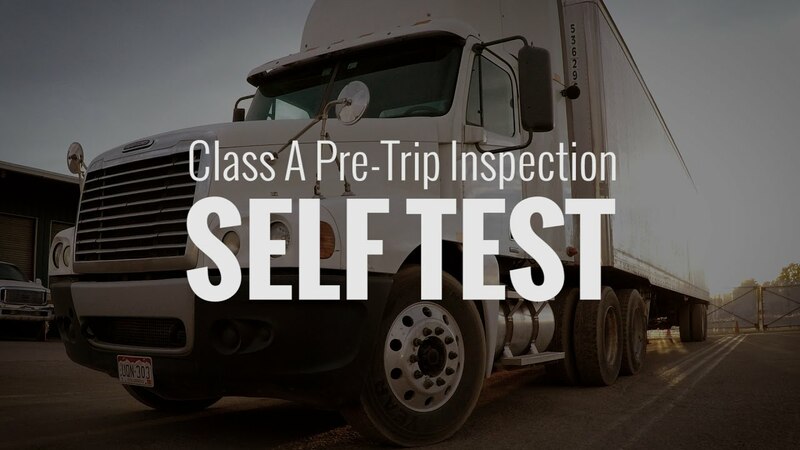 Your CDL Examiner will read instructions similar to these before you begin the inspection "Please demonstrate that you know how to conduct a vehicle inspection as, as you would normally do for any vehicle you are about to operate. You are to conduct the vehicle inspection as outlined in the CDL driver's manual. As you do your inspection, point to or touch the item or items you are inspecting and fully explain what you are inspecting and fully explain what you are inspecting on each item. If you do not do so, you will not get credit for that item. You will conduct a complete vehicle inspection. I will give you instructions prior to each portion to be inspected." This video will help you practice the pre-trip inspection before you take the test. Look at the images on the screen. Use your SPACEBAR to stop the video from advancing before the answers pop up. Try to determine what you will tell the examiner when you come across the part that you see. Press the space bar again to see the correct response. Tip: This video has no sound. This video works best on a desktop. There's too much information to display properly on a little screen.